Brain injuries can profoundly alter your life. If your brain injury wasn’t your fault, you deserve compensation, and a Seattle brain injury attorney can help you get it. Any hard impact to the head can cause a traumatic brain injury (TBI). And while TBIs can range widely in severity, they’re almost always going to cause significant hardships in victims’ lives. Just ask the estimated 135,000 Washington residents living with brain injury-related disabilities. Any brain injury is tragic, but what if the injury was someone else’s fault? Justice should be served. That’s why many brain injury victims file a personal injury claim against the person responsible. A successful claim could compensate you for as long as you need to fully account for the effects of your injury. 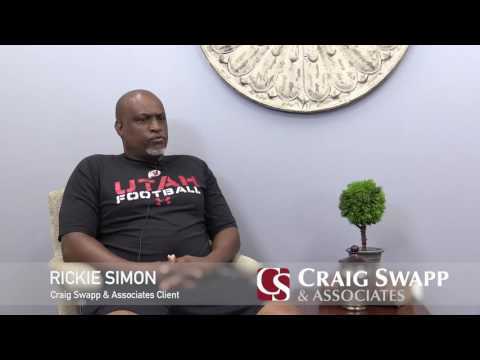 For help strengthening your claim, work with a Seattle brain injury lawyer with Craig Swapp & Associates. Emotional Effects – TBIs can change your personality and how you exhibit depression, aggression, anxiety, and impulse control. Altered Sensation – Brain injuries can change your senses of touch, vision, and hearing. Effects on Motor Function – Your balance and coordination can be affected by your TBI. Cognitive Function Problems – When your brain is injured, it may not process information the same way it used to, which could result in changes to your memory and attention skills. The type of accident that caused your brain injury is going to define your claim for compensation. Once you have an understanding of what caused your accident, you can begin to identify the responsible parties you will name in your claim. Motor Vehicle Accidents – Car accidents, motorcycle wrecks, commercial truck collisions, and bus crashes often leave victims with TBIs. Other drivers are often to blame. Slip-and-Fall Accidents – Falling is the top cause of TBIs, according to the Centers for Disease Control and Prevention. In slip-and-fall accidents, property owners are usually held responsible. Bike Accidents – Seattle is a bike-friendly city, but that doesn’t mean motorists and others keep cyclists’ safety in mind. Even with a helmet on, you can still suffer a TBI in a bike accident. Because these injuries are usually so serious, they often warrant substantial, long-term compensation. Every case is unique, so it’s important to discuss with your Seattle TBI lawyer all the ways your brain injury has affected your life. The negligence of others should not go unpunished, particularly when it causes brain injuries that will affect you for years or decades. Make sure the right party is held accountable and that you get all the compensation you need by working with Craig Swapp & Associates. To arrange a no-pressure, free consultation with a Seattle brain injury lawyer, give us a call at 1-800-404-9000. If you would prefer to reach out online, complete the contact form at the bottom of this page.